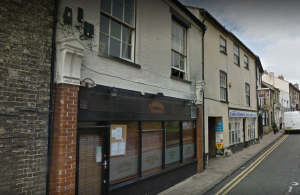 There is no shortage of restaurants in Thetford. When you come for a visit, you do not have to worry about your taste buds. You just have to prepare yourself for the explosion of flavours that you will experience. The cuisine in Thetford is not that different from the rest of England. People here love to eat – but they also love to socialise. Evidence of this is in the various pubs that you will see. If the Americans have their fast food and the French have their cafes, the English have their pubs. A pub short for “public house.” It is a place where the English get more than just food and drinks. It is a place where they can socialise. They can talk to each other, find new friends, gossip among each other, and catch up with old ones. It is a neutral place where it does not matter where you come from or what you do in life. Everyone is welcome and can find a friend or two to talk to. In Thetford, you can find a lot of pub houses to visit. You have the Wellington Feltwell, The Red Lion, and The Chase – among others. You will find a mix of locals and tourists in these pub houses. If you want to experience the authentic dining scene in Thetford, you may want to visit one of the pub houses in the local scene. Apart from pub houses, there are many restaurants in Thetford that will give you the best culinary experience. Here are three of them. If it is good food and best dining experience that you want, then Mulberry is the best place for you to go to. This is actually the option of tourists if they want something more than a pub house dining experience. The steak, Norwegian cod, smoked salmon and “family-style” veggie dishes are highly recommended. Even your kids will enjoy it enough to behave throughout the meal. 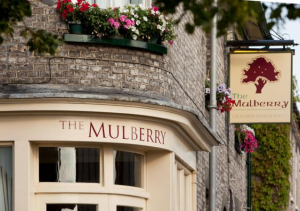 Combined with a friendly staff that provided bread and drinks while you order and the great ambiance, The Mulberry is a must for every visitor. Those who enjoy Asian cuisine should head to New Saffron. Their Mixed Kebab, Chicken Chili Massalla, and Lamb Tikka are great options to try. The great service, warm and hospitable staff, and the overall cosy design of the place are combined to give you the best dining experience. Even the owner mingles with the customers! To top it off, the prices of every meal is reasonable. 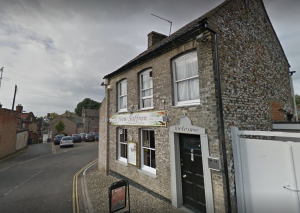 This restaurant is really a must for anyone who wishes to dine in something different in Thetford. The name of the restaurant is exactly what you will feel after dining in this place. Not only is the food fresh and flavourful, the environment is very friendly. It is a great place for people who want to hang out with family and friends over a great meal. This restaurant is a popular choice among locals and tourists alike. The “Hot Stone” meal is a crowd favourite so make sure you try it out. These are only a few of the restaurants in the area of Thetford. Make sure you choose a restaurant that will give you a taste of the authentic Thetford. If you are still unsure, feel free to ask the locals for recommendations. All of them are friendly enough to point you to their personal favourite spot.